Many RVers would rather boondock for free than stay in a campground or resort. Most BLM areas, national forests, and national parks allow dispersed free camping for up to fourteen days at a time, and while you will need to supply your own power and water, you can save a ton of money on campground fees and enjoy the peace and quiet away from the crowds. Another option for boondockers that is often overlooked is wildlife refuges. Most wildlife refuges are only open for daytime activities like fishing and bird watching, but there are a few reserves that allow camping and the rates are either free or very cheap. 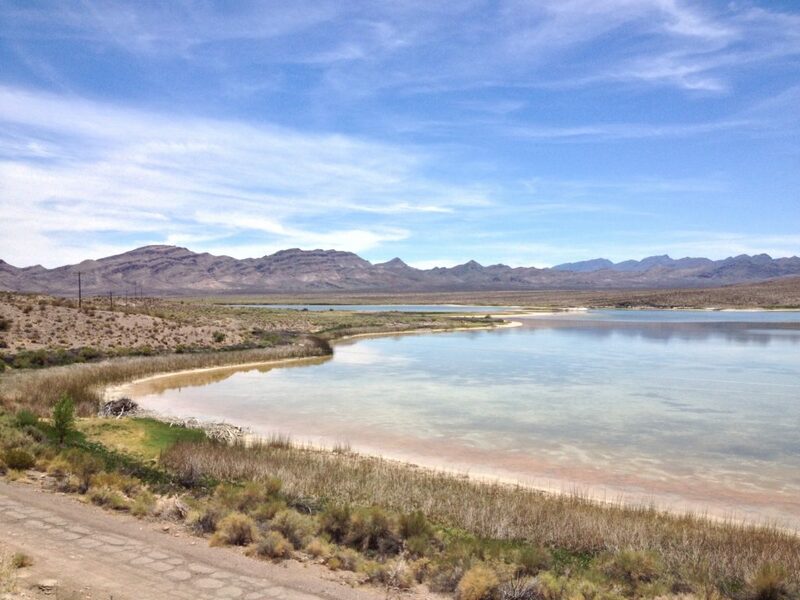 This desert oasis can be reached off the Great Basin Highway (Highway 93) an hour and a half north of Las Vegas. It has serene blue lakes where you can fish, kayak, or canoe, along with primitive lakeside campsites, some of which can accommodate trailers and RVs. The sites are free of charge and available on a first-come, first-served basis only. Each one is well marked and has a BBQ grill, firepit, and picnic table. More info. 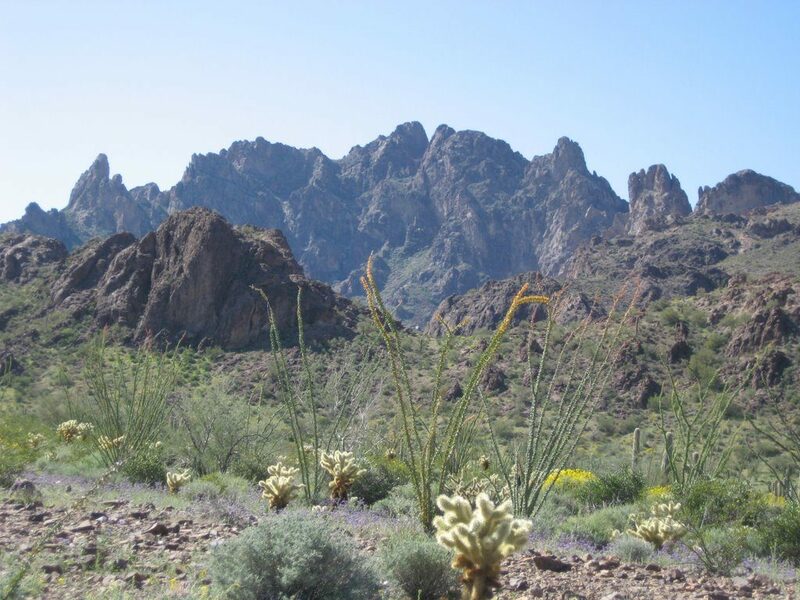 In southwestern Arizona between Yuma and Quartzsite, Highway 95 will take you past the 665,000-acre Kofa Wildlife Refuge. This remote desert landscape has jagged mountains, incredible rock formations, and the Sonoran Desert and Saguaro cactus. Free camping is allowed in the refuge for up to 14 days like other public lands. To preserve the land, they require that all vehicles must stay no more than 100 feet from the road and cannot be within a quarter mile of a water source. 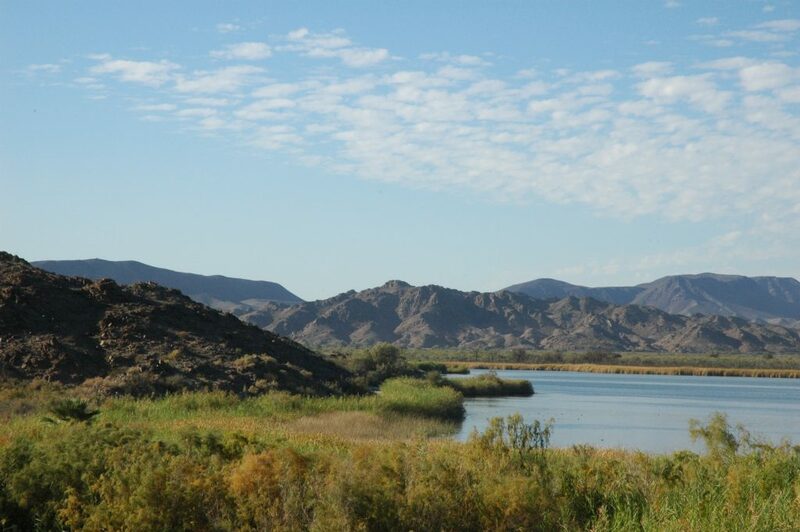 Read more about camping at Kofa Wildlife Refuge. South of Anchorage, the Kenai Peninsula should not be missed on your trip north to Alaska. This massive 1.92 million acre wildlife refuge on the peninsula offers free camping all year in the Skilak area and on Swanson and Swan Lake Roads. Spend your days hiking trails, looking out for wildlife like eagles and moose, and fishing or floating on the Kenai River. It’s also minutes from Kenai Fjords National Park where you can see an amazing glacier landscape or even take a cruise tour. From mid-May through Labor Day, there are weekend camping fees at the Hidden and Upper Skilak Campgrounds. They also have fourteen cabins on the refuge, two of which are available on a first-come, first-served basis. More info. 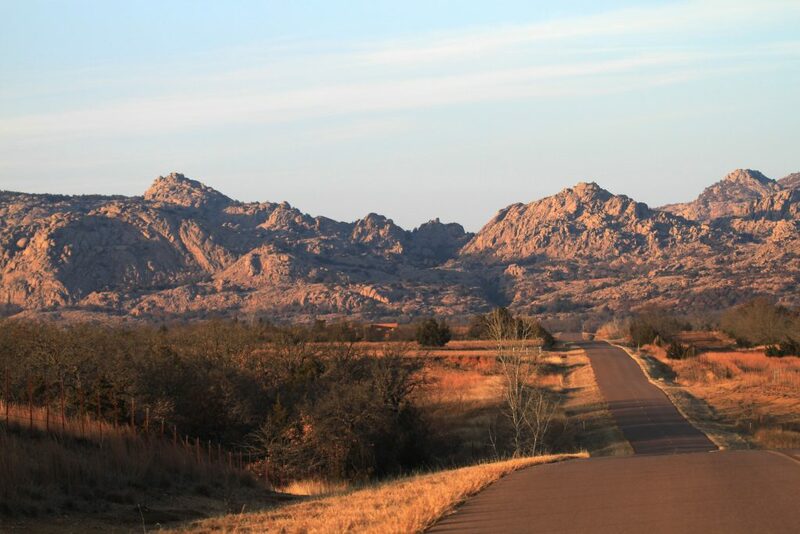 Wichita Mountains Wildlife Refuge in southwestern Oklahoma is the oldest managed wildlife facility in the U.S. Here you’re likely to see free range buffalo, Texas longhorn cattle, prairie dogs, elk, and deer. There are several trails you can hike to stretch your legs, picnic areas throughout the refuge, and a Visitor Center that is free of charge with useful information and brochures. The modern Doris Campground has RV/tent sites without power for $10 and sites with electricity for $20. They also have $8 primitive tent-only campsites and sell firewood, ice, soda, and water on-site. Tetlin National Wildlife Refuge is another must-see on your trip to Alaska. 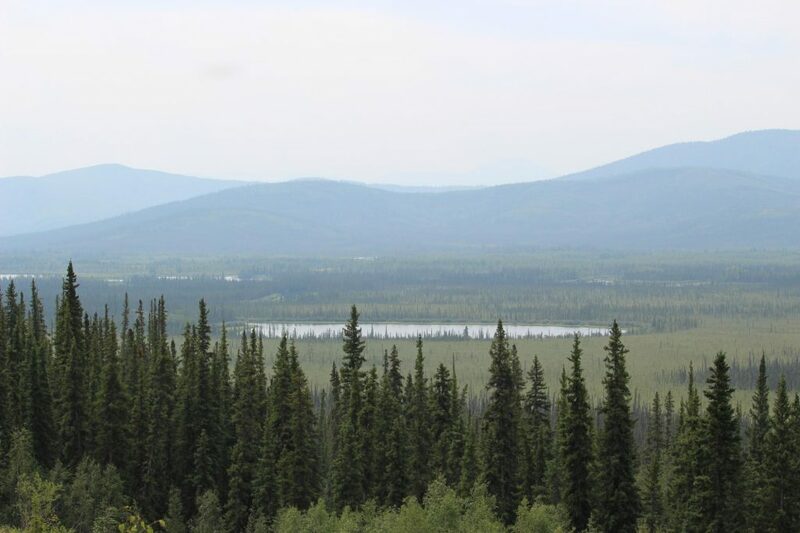 After crossing the border into Alaska via the Alaska Highway, this vast refuge is adjacent to the south side of the highway for nearly 65 miles. There are several pullouts along the highway where you can stop and get scenic views as well as two public campgrounds. Deadman Lake Campground has 15 free campsites of various sizes (4 of which can fit motorhomes up to 40 feet in length) within spruce forest that are all first-come, first-served. They are located along a half-mile loop road and have firepits, picnic tables, toilets, and a boat ramp (although no potable water). The other option, Lakeview Campground, has 11 sites with toilets, tables, and firepits. The sites here are smaller and not recommended for fifth wheels, trailers, or RVs longer than 30 feet. The forests, wetlands, lakes, and mountains are a perfect habitat for wildlife like birds, sheep, moose, wolves, red fox, coyote, beavers, and bears. 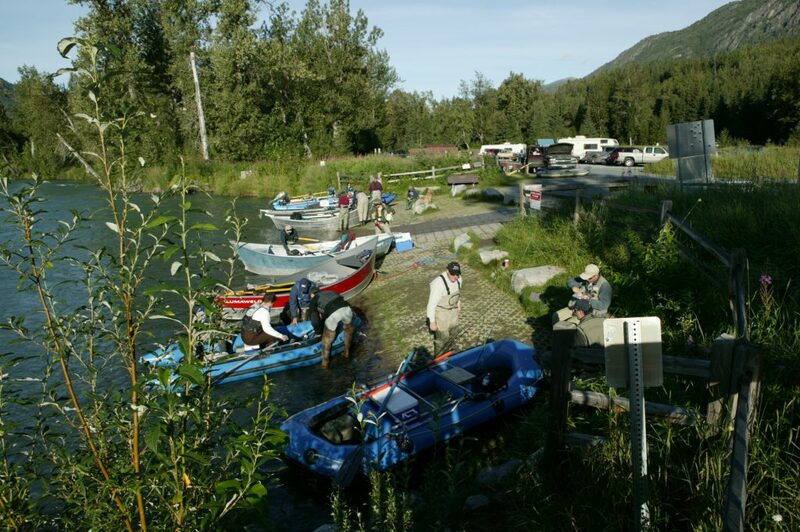 Visitors can easily spend a few days hiking the trails, fishing, boating, and enjoying all the great photo opportunities of the Alaskan scenery. Stop by the Visitor Center for more information and to see the bookstore operated by Alaska Geographic. Although there’s no camping in Cibola National Wildlife Refuge, there are free sites on BLM land just across the street. The road is rarely trafficked and the location is quiet enough to hear the birds singing across the road. 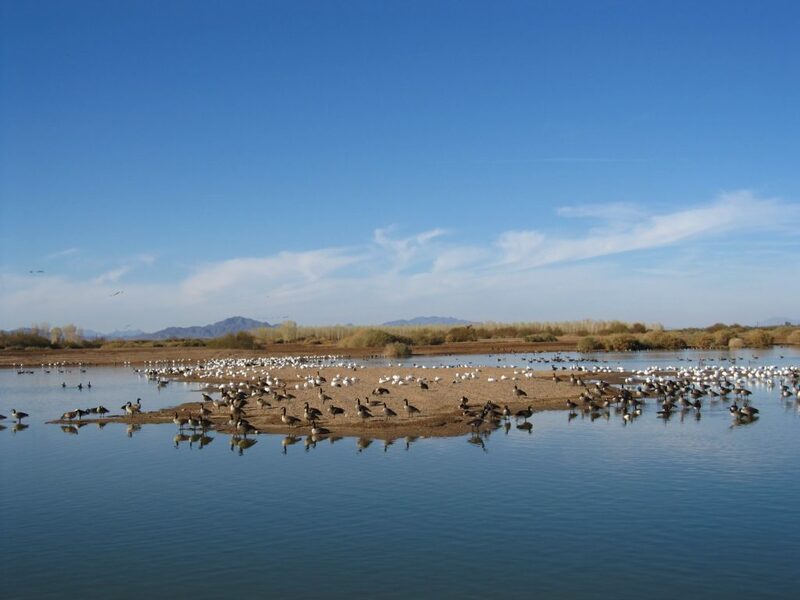 Cibola NWR is located along the Lower Colorado River on the southwestern Arizona border and Blythe is only a 20-minute drive away with more shops and services. The river makes the 120+ degree F weather livable for many wildlife species, including over 250 types of birds like Canadian geese, golden eagles, great blue herons, and snowy egrets. The refuge also has an informative Visitor Center, auto tours, or you can cast a line for bass, crappie, and other fish on the river. Another oasis in the dry desert heat, only a half-hour from Yuma, is the incredibly scenic Mittry Lake. This nature reserve has free lakeside camping sites with great views in all directions, and there are more sites off the main road on a small hill where you can get more solitude. You won’t find any amenities or services at Mittry Lake NWR other than a picnic shelter and a boat launch. But the lake setting is peaceful, the sites are all free, and you’ll have easy access to the water for activities like kayaking, boating, and fishing. Desert National Wildlife Refuge is the largest wildlife refuge outside of Alaska at 1.6 million acres. 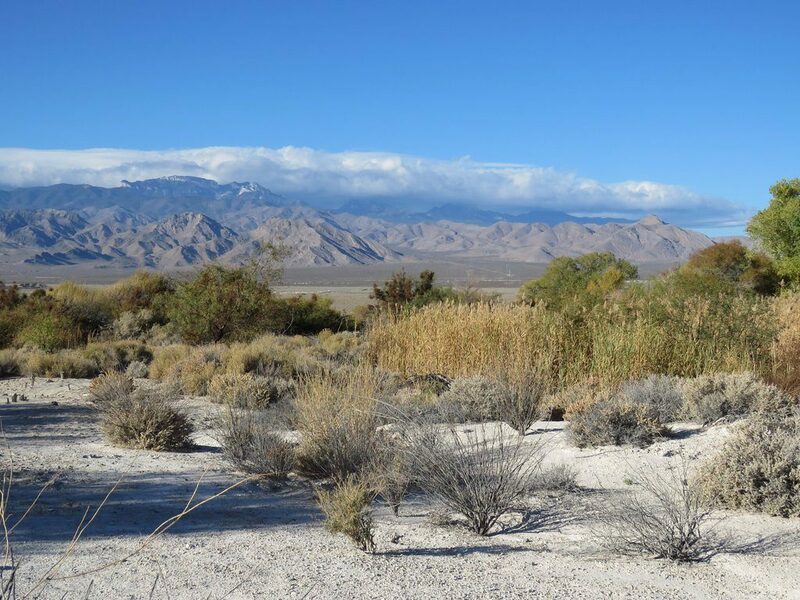 The reserve has free primitive sites available year-round at Desert Pass Campground, each with their own tent pad, picnic table, and fire ring. Car camping is also permitted throughout the refuge within 50 feet of existing roads. In addition, you can find dispersed boondocking sites near Corn Creek that are large enough to accommodate RVs. They are not only free but they’re just a half hour drive from Las Vegas! The area has rough gravel roads and no services, so make sure you come prepared with enough drinking water. These are great, BUT those of us who live in Canada ? And how about Mexico? And Costa Rica? We have camped at Kenai, Tetlin, and Wichita Mountains National Wildlife Refuges. For Federal Senior Pass holders, Wichita’s Doris campground electric sites (with water faucets and a dump in the campground) are only $10/night. But the best wildlife area campground we have found is San Luis Lakes State Wildlife Area near Great Sand Dunes National Park. Long, gravel, 30-50A campsites with pit toilets and a dump, but NO water, for FREE! This was a combined Colorado state park/wildlife management area until 2017, but the state park was “closed” and the water turned off. You need a Colorado fishing or hunting license or to pay a $36 annual fee to use this SWA and several others. But since an annual Colorado Senior Resident fishing license costs $1, it is a real bargain. In fact, we took advantage of that bargain last week!